I want to express my thanks for the Government of Pakistan, and in particular the Prime Minister, Imran Khan, for retaining in custody the Muslim cleric Khadim Hussain Rizvi. Mr Rizvi is the leader of a Pakistani religious political party, Tehreek-i-Labbaik Pakistan (TLP), which he founded. Mr Rizvi has an interesting reputation within the Government, for a religious man. The Inter-Services Intelligence , ISI, submitted a comprehensive report, describing Khadim Rizvi as being ‘arrogant’ with his superiors, ‘harsh’ with his subordinates, and ‘committed’ to his causes. The report further noted that he has shown an inclination towards misuse of power, abuse of the authorities, and is ‘reportedly corrupt’ with financial resources. Mr. Rizvi is a firebrand speaker who is exploiting every opportunity to seek political support in the name of religion. However, now the state of Pakistan has taken a firm stand and it is likely that people like Mr. Rizvi will no longer hijack the entire country for their vested political interests. His party, the TLP, have a history of not only engaging in politics, but also for being violent on the streets of major cities. It seems that if the TLP cannot get across their message through normal political dialogue, they try and create a climate of fear to intimidate the government into agreeing to its policies. The reaction of the TLP to the acquittal of Asia Bibi is a good example. This triggered the TLP, under the leadership of Rizvi, to initiate demonstrations in Karachi, Lahore, Peshawar and Multan. Clashes with police were reported. A leader of TLP, Muhammad Afzal Qadri, said all three Supreme Court judges “deserve to be killed”, a comment one might expect from a bandit than from a political figure. 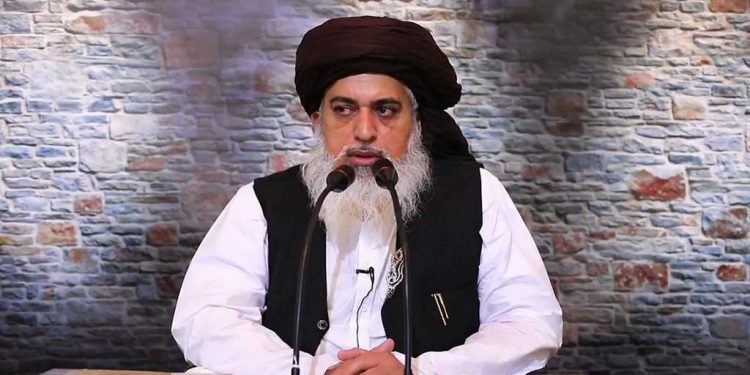 In public speeches, Khadim Rizvi has said his only demand is that the mother-of-five be put to death, the punishment for blasphemy under Pakistan’s penal code. It should concern every citizen when a political party so lightly dismisses the rule of law. He was quoted as saying, “Our sit-in will go on until the government accepts our demand”. In other words, if we cannot persuade, we will force the government into compliance. Initially, the government did not pay any attention to the protesters across the country. But within a few days the Prime Minister spoke to the nation and urged people not to become a part of those threatening the writ of the state. PM Khan also made it clear that it was the responsibility of the state to protect the life, property, and liberty of people [hear what he is saying: yes, that includes the constitutionally protected lives, property and liberty of religious minorities] and if anyone tries to disrupt the order, the State will be put into action. Protestors were not only using abusive language but also threatening the high officials in the country. PM Khan expressed his deepest grief over the use of abusive language by the religious leaders. However, on previous occasions, the street tactics of the TLP have worked. The TLP organized a sit-in at Faizabad, Islamabad for 20 days in November 2017. They were opposed to the government’s alleged involvement in modifying Khatm-e-Nabuwat [finality of Prophethood] clause in the Elections Bill 2017. The then law minister Zahid Hamid had to resign after the assurance that no Fatwa would be issued against him. 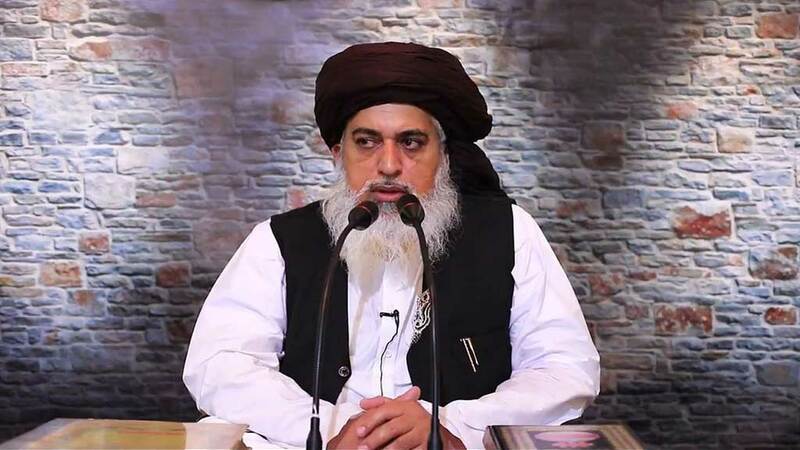 This time, however, the TLP leadership appear to have influenced men to go on house to house searches trying to find anyone who might know the whereabouts of Asia Bibi or her family members, so that they can be killed by the mob. This is, of course, a direct challenge to the authority of the government and the rule of law. The Government rightly acted, so protecting life and liberty. Another central doctrine of the Barelvi movement is that Muhammad can witness and be present in multiple places as the same time (Hazir-o-Nazir). The doctrine is present in various Sufi works prior to the Barelvi movement, such as Sayyid Uthman Bukhari’s (d. ca. 1687) Jawahir al-Quliya (Jewels of the Friends of God), where he instructs how Sufis may have manifested to them the presence of Muhammad. Proponents of this doctrine assert that the term Shahid (Witness) in Quran 33:45 4:41 refers to this ability of Muhammad and provide various hadiths as sources to support this belief. A fundamental belief of those within the Barelvi movement is that Muhammad helps in this life and in the afterlife. According to this doctrine, Allah helps through Muhammad (Tawassul). Sunni Muslims of the Barelvi movement commonly call upon Muhammad using statements such as ‘’Ya Rasool Allah’’ with the belief that any ability that Muhammad has to help others is from God, who helps through Muhammad. The help received from Muhammad is therefore considered God’s help. Sunni Muslims of the Barelvi movement believe that Muhammad is a Rahmah (mercy) to all creation as mentioned in the Quran 21:107. Muhammad therefore is a means by which God expresses his attribute, Ar-Rahman, to creation. Proponents of this belief look to the Quran 4:64 as a proof that God prefers to help through Muhammad. They also believe that in the afterlife, on the day of judgement, Muhammad will intercede on the behalf of his followers and God will forgive his nation of sins and allow them to enter Jannah (paradise). The belief of Muhammad providing support and help is a common theme within classical Sufi literature. An example of this can be found in Fariduddin Attar’s book The Conference of the Birds in which he details the story of a Shaykh, named Sam’an, who travels to Rome where he falls deeply in love with a Christian woman. The woman after seeing his state commands him to do acts forbidden in Islam to prove himself to her and the Shaykh begins to drift away from Islam. Concerned disciples and friends of the Shaykh decide to go to Makkah to pray for the Shaykh and make many supplications for him. One of them has a vision of Muhammad who says: ‘’I have loosed the chains which bound your sheikh – your prayer is answered, go.‘’ They return to Rome to find that Shaykh Sam’an has returned to Islam and that the Christian woman whom he loved had also become a Muslim. The belief of Muhammad interceding is found in various hadith as well. On the Day of Judgement, it is Mohammed who will make intercession for His followers and as a result God will forgive them their sins and they will enter paradise. It seems they have gone as far as they can in making Mohammed divine without actually making him divine. Without directly saying so, the Barelvis claims that Mohammed is in effect omniscient, omnipresent and eternal – characteristics that belong to Almighty God alone, I believe. And, yes, Jesus will judge Mohammed, according to all that Mohammed did in the body (these are all helpfully recorded in the Sunnah). I leave you to judge which of the two, Mohammed or Jesus, is more righteous or godly. Consider what they each did with their lives. A curious feature of Islam is that different branches of Islam seem to have trouble agreeing on who is insufficiently Islamic to earn the moniker of hypocrite, with all that implies. Barelvis have been targeted and killed by radical Deobandi groups such as the TTP, SSP, LeJ, etc. Suicide attacks, vandalism and destruction of sites considered holy to those in the Barelvi movement have been perpetrated by Deobandi extremist groups. This includes attacks, destruction and vandalism of Data Darbar in Lahore, Abdullah Shah Ghazi’s tomb in Karachi, Khal Magasi in Balochistan, and Rahman Baba’s tomb in Peshawar. The murder of various Barelvi leaders have also been committed by Deobandi terrorists. I am not sure this is what Mohammed meant when he said ‘kill and be killed in the way of Allah.’ Oh, well. While one does not wish such harm on anyone, the sad fact is that to an outside observer of Islam, this fratricidal warfare seems intractable. I learned sometime ago that Islam has a model of the world as being in two camps: the House of Islam and the House of War. It would seem to me that the House of War contains as much inside the House of Islam as outside. The logo of the ISI prominently displays, rather startlingly, the head of a goat, a symbol often used by Satan worshippers to represent the Lord of Darkness himself. I hope this is no more than a cross-cultural misunderstanding. The Age of the Universe - what does the Bible say? Saying ‘Jesus is the Son of God’: is that mockery of Islam?